Health Costs > How Much Does a Blood Transfusion Cost? 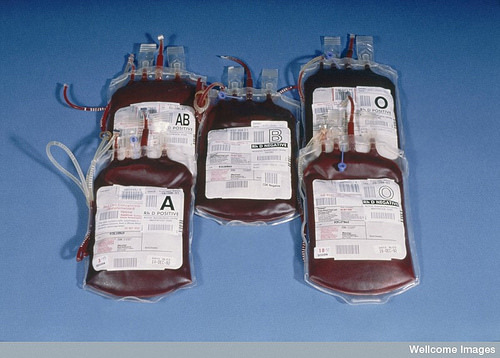 How Much Does a Blood Transfusion Cost? A blood transfusion is done to replace lost components of the blood if a person’s hemoglobin levels fall below 70 – 80 mg/dL and can easily save your life. Although there are medical procedures that can be life-saving, the blood transfusion is probably the most important and the most common. Another reason why this procedure is done is to serve as a treatment for people who have symptoms of cardiovascular disease such as chest pain or a shortness of breath. It is estimated around 21+ million units of blood are transfused every year. The cost of a blood transfusion depends on where you live, the hospital/clinic you use, why the blood is being used and your blood type. On average, the procedure is going to cost anywhere from $900 to as much as $3,500 per unit (525 milliliters of blood) without insurance. If you have a health insurance policy, there is a good chance this procedure is going to be covered. If so, you will be responsible for your co-pay and deductible. Ask your health insurance provider for more information since every policy is different. Yale Global Health Review, for instance, says the cost is about $210 per unit of blood transfused to the hospital, and the costs to a patient will depend on why the blood is being used; for example, patients receiving an organ transplant can easily see prices exceed $3,800. This Hopkins Medicine price list says the average blood transfusion service is $4,271. According to the Journal of Clinical Oncology, the cost to have blood transfusion can range anywhere from $1,800 to $3,000, and the Iowa Orthopedic Journal says the costs can range anywhere from $1,700 to $2,500 per unit of blood transfused. Choosing Wisely also notes a blood transfusion can cost a lot. With a unit of blood costing $200 to $300, there are other added costs to think about such as the storage, processing and the hospital and equipment fees. Plus, the costs can be much higher if you were to come down with an infection and/or serious problem because of the transfusion. The Dayton Daily News did a story on a patient who was charged $1,600 per unit of blood. Before the procedure even begins, the medical staff will check your identification to make sure you’re receiving the right correct blood. A blood transfusion is a safe and common procedure where the patient will receive blood through an IV. It will commonly be done in either an outpatient center in a hospital setting. The procedure will take up to four hours, depending on how much blood the patient needs and what your doctor ordered for you. Each unit, on average, transfuses over 90 to 120 minutes. After the procedure is done, the IV will be removed, your vitals will be checked and you can leave right away as long as no side effects occur. As noted above, an infection and/or serious problem could occur with the transfusion, increasing the costs, depending on the procedure need to resolve the issue. Down the road, you will need to visit your doctor to see how your body is responding to the donor blood and to see if your blood counts have reached appropriate levels. The most common blood types include A+, B+, AB+, O+, A-, B-, AB-, and O-, with O+ and A+ being the most common. Although all negative types are rare than its positive counterparts, the rarest blood type is AB-. If you have this type of blood and need a transfusion, it will be very hard to find a match. If you have this blood type, it is even more important for you to become a blood donor to potentially help others in need. There are certain physical requirements to give blood, but the average healthy person can donate blood up to four times a year. If you have a rare blood type, the local blood bank may not be able to work with it. If your body rejects the blood, a side-effect, known as an acute hemolytic reaction, may occur. This is caused when the body tries to rid itself of the blood, causing a poisonous substance to be released and attack the kidneys. The best way to save money is to check with your insurance company to see if they provide coverage for this type of procedure. If you currently do not have a health insurance policy, consider using websites such as eHealthInsurance.com to find a low-cost health insurance policy in your area. Most hospitals and clinics will offer discounts to cash patients. If you do not have insurance, try paying cash up front to save up to 50%. If you are in need of financial assistance, there are government programs you can qualify for if you apply and meet the requirements. Talk with the hospital finance department for more information. To much money for 3 units of blood. I was in the hospital for 10hrs.